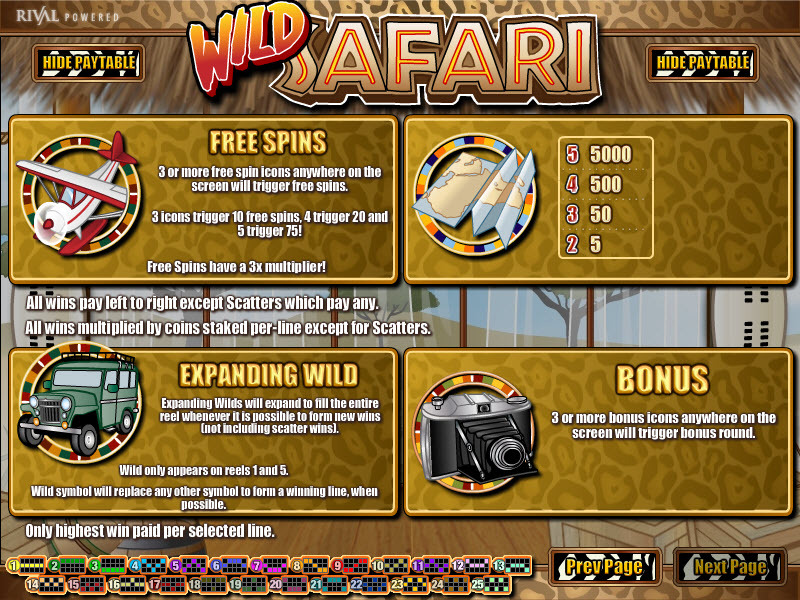 Overview: It's your chance to be King of the Jungle with our latest slot, Wild Safari, Rival's first 25-line slot release! 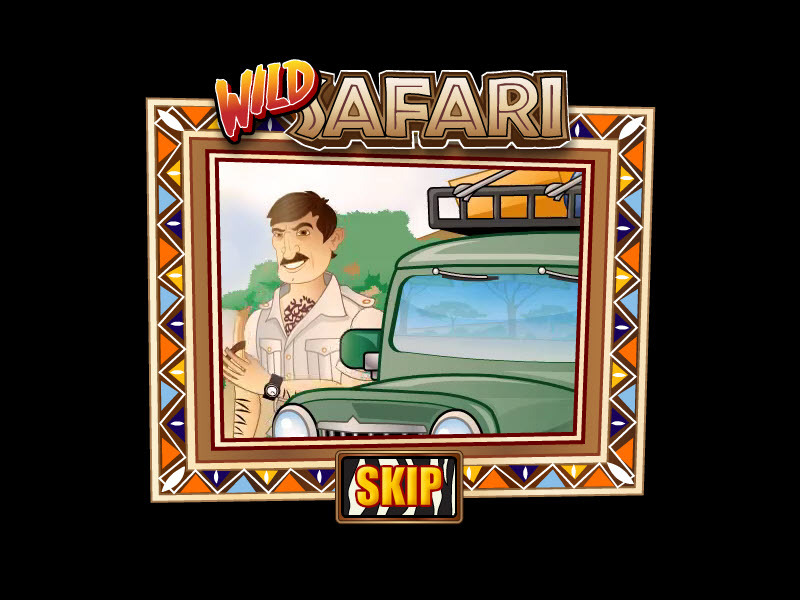 You'll start your adventure at the Safari HQ. Make sure to have your bags packed for everything you're going to need. Binoculars, Camera, Flashlight, Bug Spray, and your journal to document your adventure. The Jeep and the Pontoon plane will take you on your expedition. 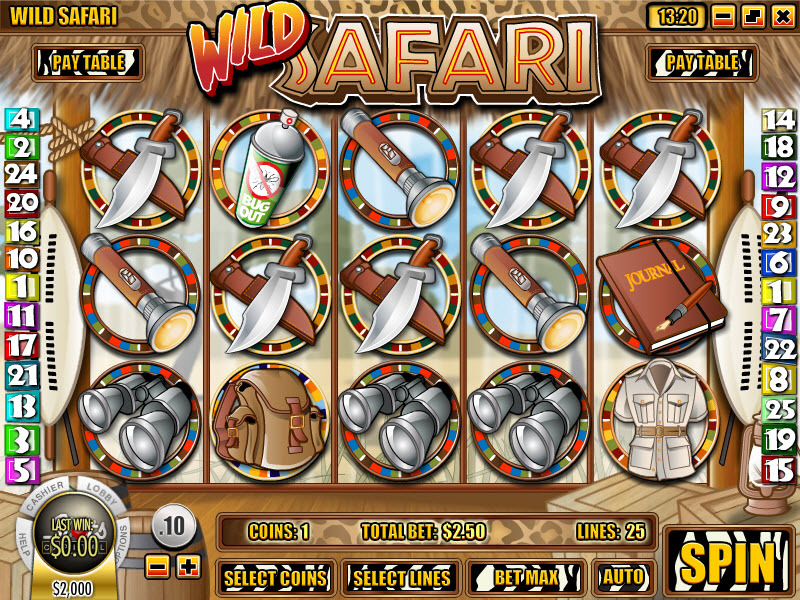 While you're out on you exotic experience through the Savanna you'll see all kinds of beloved African animals. Of course on your journey you'll see the heavyweights like Elephants, Rhinos, and Hippos; predatory animals such as Lions, Cheetahs, and Crocodiles; and finally Chimpanzees, Giraffes, Hyenas, Ostriches, Zebras, and Wildebeests. 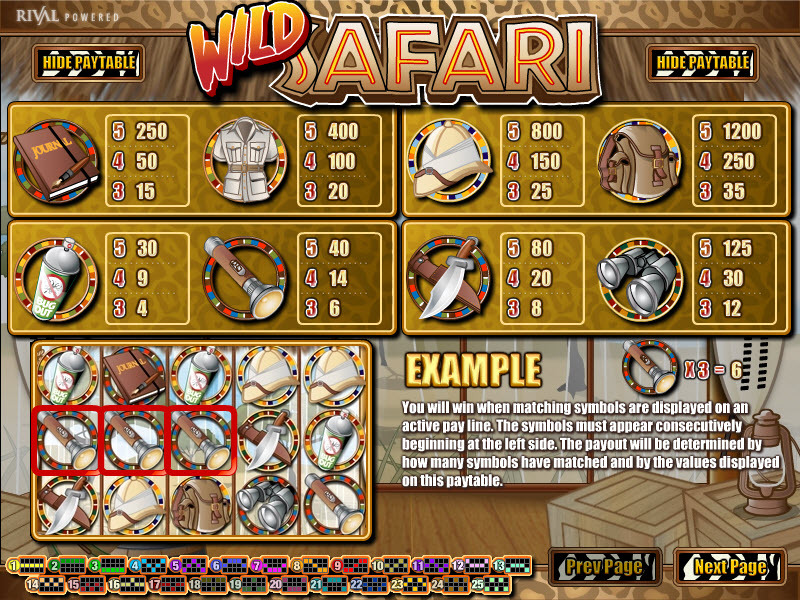 Similar Slots: If you like Wild Safari, you might like these other Rival-powered i-slots: As the Reels Turn, Cosmic Quest: Episode 2 - Mystery Planets, Heavyweight Gold, Midway Madness, Reel Crime - Art Heist.